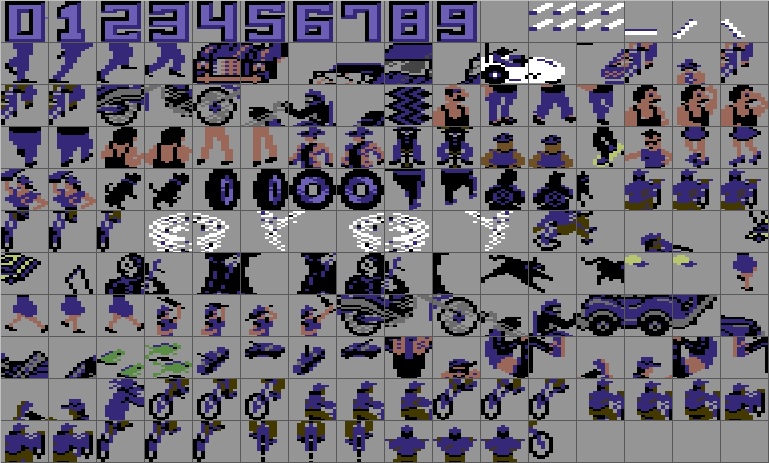 Thanks to Encore (Nothing to do with Elite I might add), a contributor on Lemon 64 – a range of unused sprites have been found tucked away in the game. Maybe they just ran out of space?… or just time whilst developing. This suggests that there could actually be some character based assets hidden away too, so if we find anything we’ll report it back here. This entry was posted in Unused materials and tagged Atari, C64, Elite, Paperboy. Bookmark the permalink. 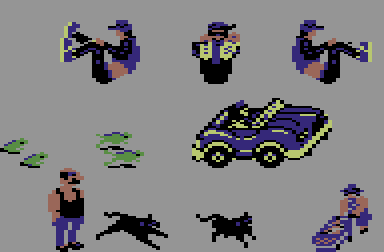 ← Six Atari VCS games recovered! I was the guy who did these. Hi Jon, glad you liked the sprite grabs. I guess that the developer just ran out space whilst doing the game and that’s why some of those didn’t feature? AWESOME! There’s a few characters that were meant to make it into the game!